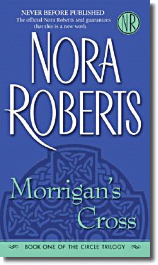 With the publication next week of her 166th book, Morrigan’s Cross, Ms. Roberts remains one of the top-selling novelists of the last decade and the most prolific romance writer of all time. At 55 she has written more books than Sidney Sheldon, Harold Robbins, Judith Krantz and [Danielle] Steele combined. What does Roberts read when she's not writing? Click here to find out.